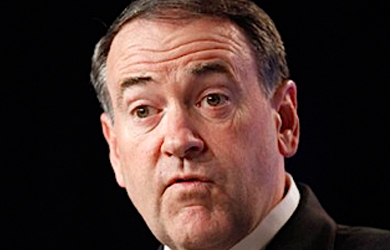 Huckabee sometimes has bristled at questions about whether he would use the presidency to impose his religious views. But even some of Huckabee’s longtime friends say he invited such questions by running an ad that promotes him as a Christian leader. 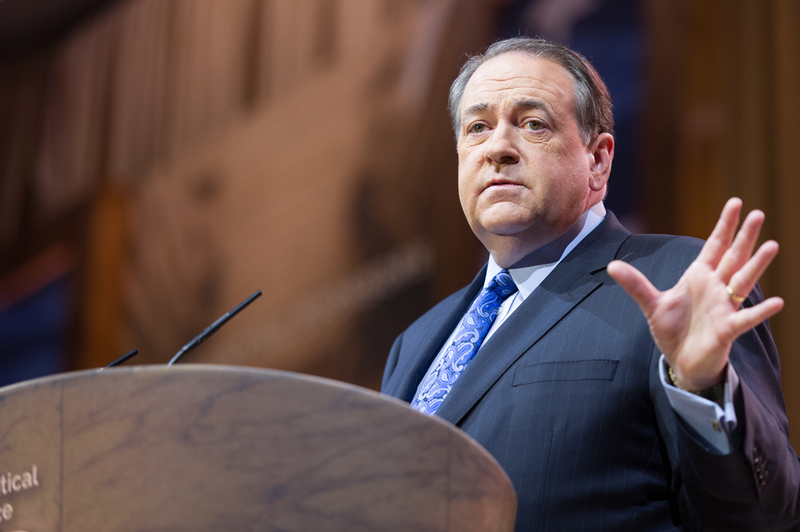 “If a candidate makes his faith a part of his campaign, it is fair game,” said Richard Land, who has known Huckabee for 28 years and is president of the Southern Baptist Ethics and Religious Liberty Commission. Clerics, ACLU hit ‘Christian’ week in Ark. Lt. Gov. Mike Huckabee’s proclamation of a Christian Heritage Week cheapens and trivializes the true meaning of being a follower of Christ, several theologians said Wednesday. The American Civil Liberties Union called the proclamation part of a national attempt by the religious right to prove America was founded as a Christian nation, but the group said it will take no action. Huckabee, acting governor during Gov. Jim Guy Tucker’s absence, signed documents in the Capitol rotunda Wednesday declaring the week of Feb. 27 to March 2 Christian Heritage Week in Arkansas. He said he was “somewhat surprised if not startled” that anyone would oppose the action. Gov. Jim Guy Tucker said he rejected a request to proclaim a Christian Heritage Week but had no authority to stop Lt. Gov. Mike Huckabee from doing it. “We were asked to make such a proclamation several months ago, and I declined to do it because I didn’t think government should be in the business of promoting any one religion over the other,” Tucker said Thursday. When the governor of Arkansas is out of the state, the lieutenant governor is acting governor and has all the governor’s power. Gov. Mike Huckabee engaged in “demagoguery on a scale beyond that normally seen in the course of public debate” when he said environmentalists were worshiping nature instead of its creator, a group of environmentalists says. Representatives of 44 state environmental groups, organized by the Arkansas Public Policy Panel, signed a letter to Huckabee on Thursday asking him to re-evaluate his position on the environment. Six of those signing the letter spoke to reporters Thursday at the panel’s office in Little Rock. In a speech Monday to the Arkansas Farm Bureau, Huckabee said he was a conservationist, not an environmentalist. Gov. Mike Huckabee says he’s surrounded by the devil, prompting some Arkansas lawmakers to wonder if he was referring to them. The article, circulated at a Legislative Council meeting Friday, dealt with how Mr. Huckabee, a former Baptist pastor in Pine Bluff and Texarkana, relies on his Christian faith more as governor than as a minister. 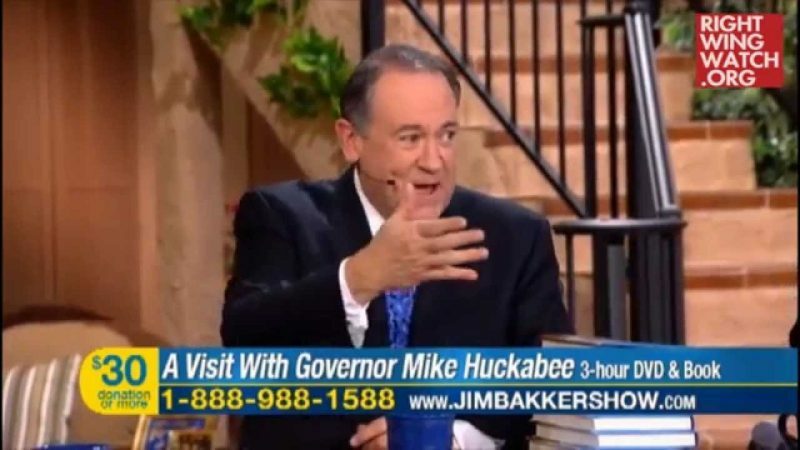 As long as Huckabee is out on the campaign trail crediting God for his rise in the polls and as long as his supporters are suggesting that “God may be sending us a lifeline” in his campaign, the way he uses his faith to gain and wield political power will continue to receive scrutiny.